Use paint buckets to hold larger quantities of paint for larger jobs, or when measuring paint. 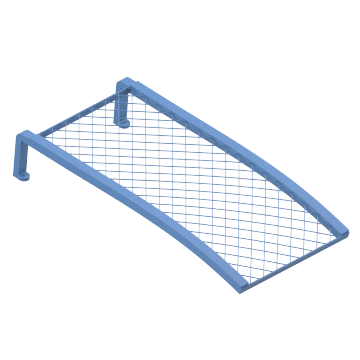 Choose from a variety of accessories to help simplify your painting jobs, such as paint grids, bucket liners, and bucket lid openers. Remove excess paint and reduce drips from your roller using a paint grid. Add the grid to your paint bucket, then roll your paint roller along the grid to get the right amount of paint on your roller. 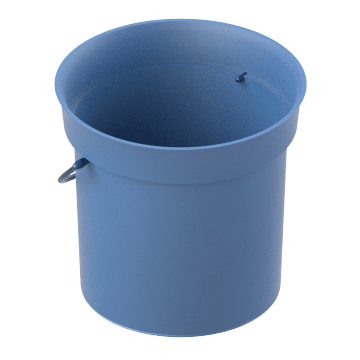 When painting large surfaces, pour your paint into these buckets, which hold more paint than traditional cans. 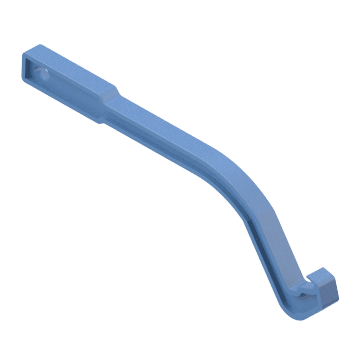 They also have a wide opening, making them good for use with paint rollers. 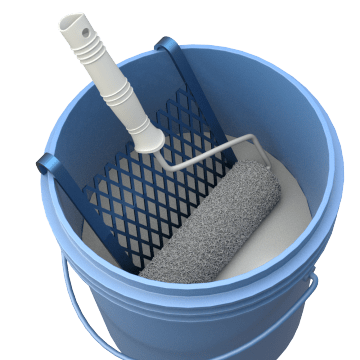 Clean up your paint bucket quickly after your paint job is complete with disposable bucket liners. 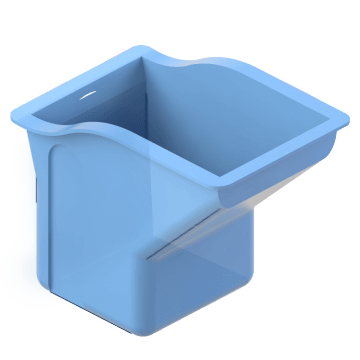 These mixing and measuring containers have markings along the side to easily determine the amount of liquid in the bucket. Add a paint grid to the container to help remove excess paint when using a roller. Carry paint from one work area to another, or mix together different paints with these paint pails. 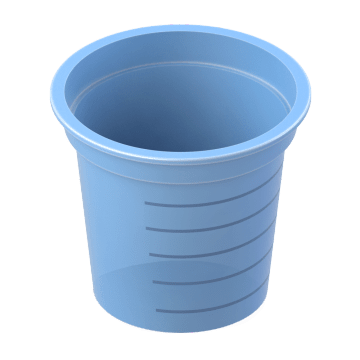 Use these paint cups for smaller paint jobs such as trim work or hobby projects. 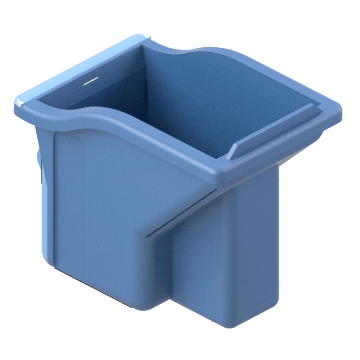 Pry the lid off buckets and other containers using these bucket lid openers.